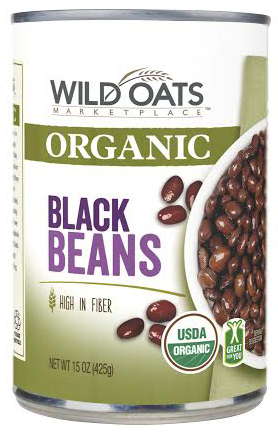 “Starting this month, the big box giant aims to drive down the price of organic food nationwide with its new in-house line of 100 or so products in exclusive partnership with Wild Oats, a pioneering health brand of the 1980s. This move by Walmart will increase access to organics. If it ends up increasing demand, that would have several outcomes (at least on food), some desirable, some not so. It could erode the way organic food is currently produced (however, that is regulated by the USDA’s National Organic Standards Board) or it could put pressure on conventional agriculture to employ more organic and sustainable methods. I think both will happen. This entry was posted in Organic, Sarcopenia on April 16, 2014 by Bix. I’m reading that there are people who want to continue to restrict access to those with low-income, or that they are “reserving judgement.” People who already have access are “concerned” that those without resources might gain access to organics, ruining their own access, or soiling organics’ appeal … or they are undecided. Is it low income people who are undecided about whether they should partake in better food? This is good news. Easy to dig on Walmart but the more organic options the better. Just out of curiosity, where are you reading about *this* appalling and bizarre attitude? “I’m reading that there are people who want to continue to restrict access to those with low-income, or that they are “reserving judgement.” People who already have access are “concerned” that those without resources might gain access to organics, ruining their own access, or soiling organics’ appeal … ” I’ve never heard of such “class-ism” vis-a-vis food options. Would really like to get to the source of it, given my work at the farm. I’d be grateful if you could give me a citation–thanks! You’ve never heard of classism vis-a-vis food options? Worstall, in the link I provided, describes a term economists use for it, a Veblen Good. There are comments paired with this article, as well as others around the web, that show this in action. People of means are “concerned” that organics may lose its snob-appeal. Then what will they do. Good grief, Charlie Brown. No, I had never heard about that. You’d think they could be satisfied with sporting “Whole Foods” organics and still sneer at Walmart organics. Thanks for the references–I’m still sort of stunned by it. I think toxins in foods are a problem. By “toxins” I mean plastics, pesticides, and other modern synthetic pollutants that act as endocrine and neural disruptors. But I believe the food people eat, apart from these pollutants, contributes to disease, and may play a larger role. I read that Egyptian mummies had atherosclerosis. Did they have factory farms and pesticides back then? To be clear … I think a lot of animal food – animal protein and animal fat – contribute to chronic disease, including heart disease, cancer, diabetes, arthritis. I just read the Worstall article in Forbes (which, btw, is a rich person’s magazine, with which Worstall may enjoy associating his public persona). It’s quite interesting, that Veblen Effect, and now I can understand the organic food phenomenon better. I’m not with him, though, on his “ex cathedra” comment that the toxins on foods are 99% natural to the plant itself. I do agree, as you’ve pointed out before, that most plants naturally contain some elements toxic to a greater or lesser degree. But when you add to that the extra toxins from conventional growing, you’re just increasing your toxin load, which is really not a good thing if it’s avoidable. Personally I don’t believe his offhand (and unsupported) comment about the negligible amount of pesticide/herbicide residues on conventional foods. I can’t prove it, but the Organic Consumers’ Assoc, a dot-org (not a profit making entity) has many articles talking about just such issues. Sorry to blather on like this–but it all is very interesting, all the factors that influence buying patterns that have less to do with the product than with the consumer! Veblen Effect. Whoda thunk? I agree with you on the choice of foods, particularly meat, can contribute to various diseases. Oh, about the Egyptian mummy w/ artherosclerosis–Egypt was part of the Neolithic period, when people settled down, built communities, and stopped being hunter/gatherers. So part of Egypt’s problem in those early days was the shift to a more sedentary life style, at least among the upper classes. Plus they lived in close proximity, for the first time, to animals they domesticated, which caused a string of diseases passed from animals to humans & vice versa (though not artherosclerosis, obviously). But the mummies we have available to us today are the bodies of Egypt’s wealthiest people, those who could afford to eat a lot of meat, poultry, fish. If one could even *find* the body of, for example, one of the slaves who built the pyramids, it probably wouldn’t have this degree of artherosclerosis, due both to a much less meat-rich diet and a lifetime of hard physical work. Sorry for the redundant comment about class difference in ancient Egypt leading to dietary difference. I hadn’t actually read the Egyptian article when I commented on it under another post. Now I have–mea culpa! I will say, though, as an art historian, that we have spiritually violated these people by digging them up to study them–it’s a complete violation of their religion. Their soul (ka) had to have a physical place to reside, either in the mummified body, or in a statue or statuette, from which the body has also been separated.